Welcome to our first official Scrapbook Sunday. Today is the day to work on sharing your genealogy work with your family. How you decide to share it is up to you. Don't be afraid of the crafty word, scrapbook. 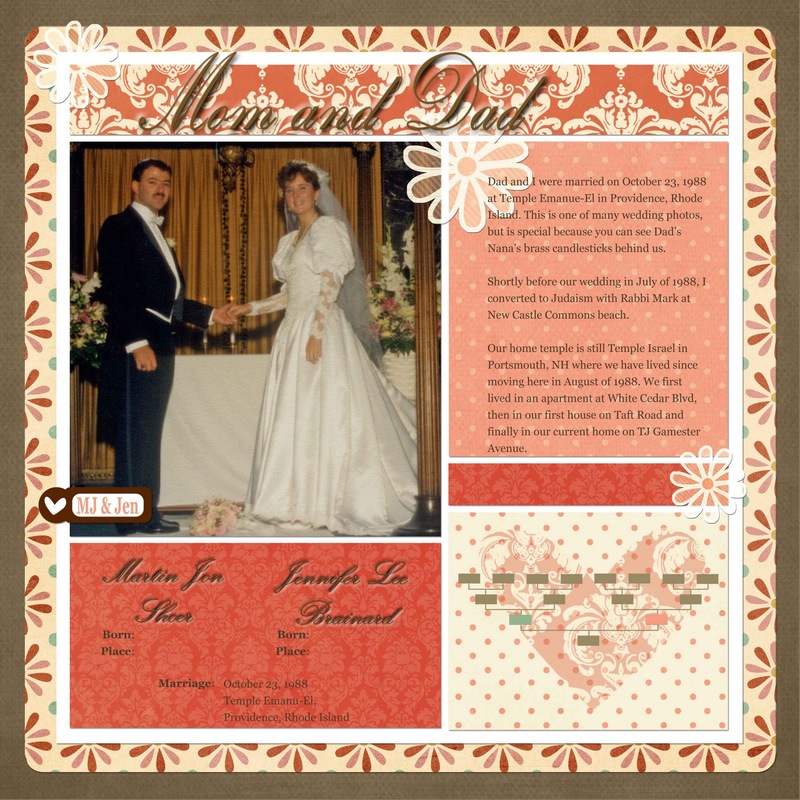 Any creative project for displaying your family history will be considered scrapbooking for Scrapbook Sunday. This week I am still working on the Family History Album from JessicaSprague.com. The assignment is to create four pages about the parents in our selected family tree. The parents in my tree are my husband and me, so this assignment is not difficult in terms of collecting missing information. This project is very straight forward and easy to complete. There are three more pages to do for this week and I will be working on them today. If you have missed any of this project, simply click on Family History Scrapbooking. There are four other bloggers regularly contributing to this series! How do you share your family history? Do you scrapbook? Lauren, So funny, I just went to check to see if I have any comments from today and I find yours. I had just gone to your Evernote post and commented! Anyway, thank you very much. The kit makes it very easy to create this album. The hardest part is learning your way around Photoshop Elements.